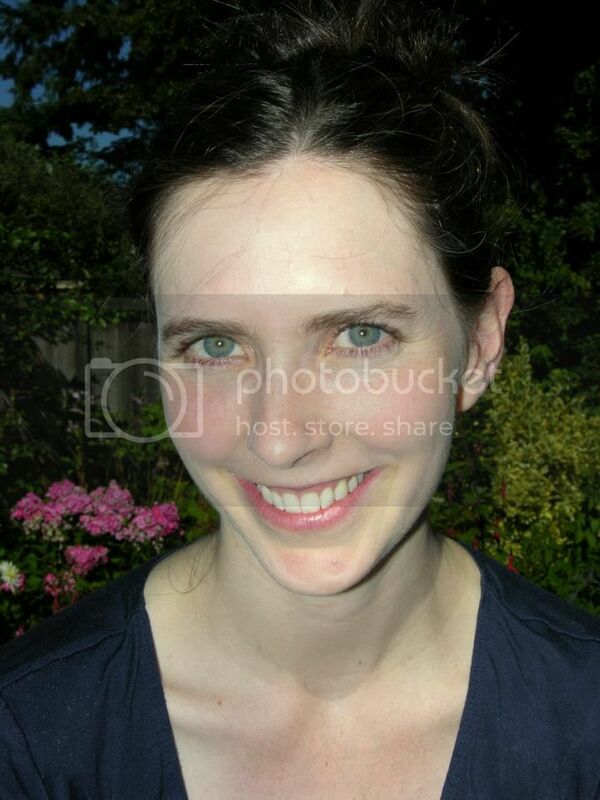 We welcome Catherine for an interview today! As soon as I knew that books were written by people, that was the kind of person I wanted to be, and I’ve never wanted to be anything else. I’ve written each book under such radically different circumstances that it’s difficult to say. Julia Vanishes, in particular, did a lot of sitting and simmering while I worked on other things, and then I’d return to it. Now that my kids are older, I’m able to measure my writing time in hours or days, but that’s a pretty recent development. 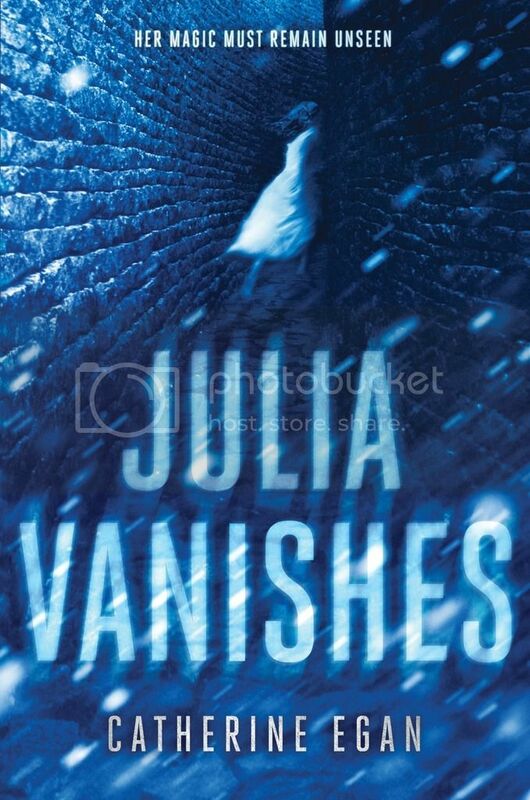 My very rough estimate is that it took about 36 000 minutes to write Julia Vanishes. Most of my stories start with a pretty clear idea of the characters and a very rough idea of the situation. The themes creep in without my giving them any conscious thought at all. Julia Vanishes is not the first book I wrote as a parent, but it’s the first book that was conceived from the very start after I’d had kids, and a friend pointed out that a lot of the central characters have lost a parent or a child. That wasn’t intentional, but on some level I suppose I’m always writing out my deepest nightmares. I write on weekday mornings while my younger son is at preschool, and on Saturday mornings at a café. It’s a lot like the scene in The Cat In The Hat where he’s hopping up and down on the ball and holding up the cup and the cake and the books and the fish and the little toy ship and the milk on a dish… well, you know the rest. Which is to say, I’ve sort of given up on balance. For me it’s all about the characters. I love books that are suspenseful, and will shout in delight at a really good plot twist, but I’ve also loved books that were basically plotless. I don’t need to like the characters in a book, but compelling personalities and relationships will hook me above all else, and making people up is my favorite part of writing. Before I had kids, I think the hardest thing was how to make the things I was writing book-shaped. Oddly, that was less of a problem after I had kids, but then the challenge became finding the time. I’ve written 8 books that have a beginning, a middle, and an end, if you include the still draft-shaped sequels to Julia Vanishes. I’ve written four books that have been through the full spit-and-polish process, and the book I haven’t started yet is always my favorite. I love all my made-up people, but the character I had the most fun writing is easily Nia, the villain from my previous trilogy, The Last Days of Tian Di. Her exuberance and her rage were pure fiery joy to write. I write at my kitchen table during the week, and at coffee shops on Saturday mornings. I didn’t know anything about publishing when I started, and to be honest I still don’t know much. When I was finishing up Julia Vanishes, I had just been completely wowed by Lena Coakley’s first novel, Witchlanders. So I queried her agent, Steve Malk, and here we are. Fortunately, he does know about publishing. Lucky me! They are good beta readers and so they read and critique my books in draft-form, which is particularly generous because, except for my niece and nephew, none of them read YA fantasy for fun – they only read my stuff because I wrote it. I remember crashing with my older brother’s family for a few months one very cold winter in Ontario, when I was drafting my first YA / MG novel. My nephew would stand behind me, reading over my shoulder so quietly I’d forget he was there, except for the little squeak when I’d suddenly delete a paragraph he’d been reading. If you imagine the hours of your life as currency that you trade in for experience, travel will give you by far the best bang for your metaphorical buck. I traveled a lot before I had kids, and when I wasn’t traveling, I was planning The Next Adventure. Now that I have small children I don’t travel as much, but I still like to plan possible future adventures. I like reading outside while my kids build forts or sandcastles or fight dragons or each other, I like dinner parties where the kids all run around in an overtired overhyped mob and the grownups eat and drink too much and laugh ourselves silly, I like dropping my kids off at school and running home to write, feeling liberated, and I like picking them up again, because I missed them after all. I think it’s important for the joy or satisfaction you get from writing to be enough on its own to sustain you, regardless of whether you publish or not / sell a bazillion copies or not, etc. That’s not really advice though, because it will either be true for you or it won’t. If you love writing, it’s a great thing, and you’re lucky, and you don’t need my advice. Some favorite authors (in no order, just scanning my bookshelves): Kazuo Ishiguro, Donna Tartt, Susanna Clarke, Chimamanda Ngozi Adichie, Sarah Waters, Kelly Link, Tanizaki Junichiro, Shirley Jackson, Virginia Woolf, Roxane Gay, Margo Lanagan, Kristin Cashore, Meg Rosoff, Elizabeth Wein. Books that most recently blew my mind: Tracey Lindberg’s Birdie, Elana Ferrante’s Neapolitan novels and N.K. Jemisin’s The Fifth Season. The Long Secret by Louise Fitzhugh is the first book that made me think about the craft of writing and how the story can go much deeper than just plot. It seemed to me, at age eleven, a perfect and mysterious book, and I still think that. I work out plot tangles by talking them through with my husband. My family and a few friends beta read for me once I have a decent draft and their critiques help me to see the book from outside of my own head. Then I send it to my agent and editor, and they are the ones who really beat the book into shape. I’m working on being more patient with myself and with my kids, I’m working on going to bed earlier so I’m not chronically underslept… oh, do you mean writing something? Yes, I am always working on a book. Right now, I’m working on revising the sequel to Julia Vanishes, and also drafting the third in the trilogy. When my husband points out at the end of the day that I’ve got my shirt on backwards or inside out. This has happened more than once, and it does make me laugh, but underneath that is a bit of sadness that I’m such a disaster I can’t even get dressed properly. Watching a cat stalking a bird. I can’t help smiling at the grace and beauty of the hunter-cat, but also, oh poor bird. When my son describes the “Code Red” drills at school and says they all hide in the dark to practice for if something bad happens, “like a skunk getting into the school.” I smile at his idea of danger, while at the same time I think the bottom of my heart will drop out at the truth. Browsing in bookstores. I want to read all the books! / I can never read all the books. The moments when I’m folding the laundry and the kids are crashing around and I need to make dinner and I’m thinking about the book I’m writing. Some days, in these harried moments, I’m bowled over by my good fortune and I can hardly stop smiling; other days I think, slow down wait I’ve done it all wrong this is not who I meant to be this is not the life I meant to lead, and every choice seems a wrong turn but it’s too late to turn back. Some days, confusingly, I feel both of those things at the same time. 120. If you could travel anywhere in the world to visit a place so you could use it as a background for a book, where would it be? I have a book idea set largely in Tokyo, where I lived for three years, and sometime in the next few years I will need to go back before writing the book. Julia spies. Julia steals. Julia vanishes…discover her magic in book 1 of the new Witch’s Child trilogy, #JuliaVanishes—on sale 6/7!